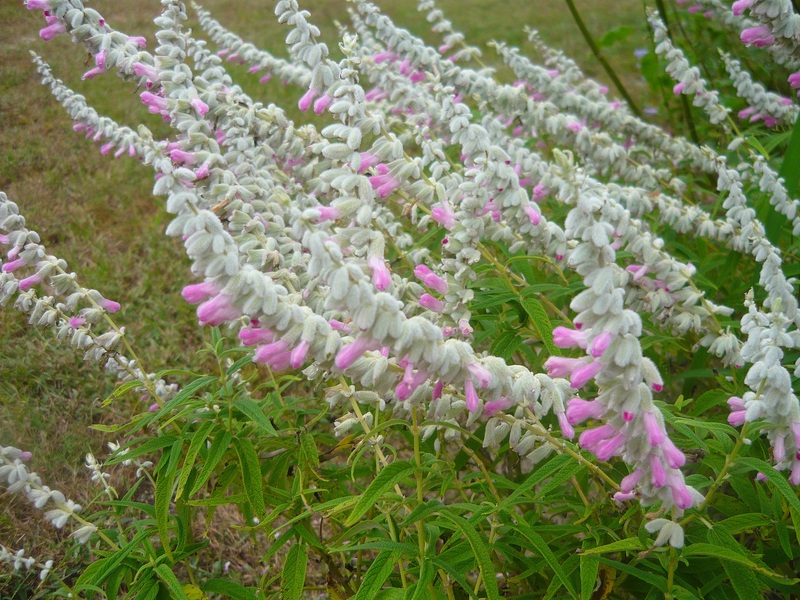 Danielle's Dream Mexican Bush Sage (s. leucantha 'Danielle's Dream'') PP 21,734. Beautiful ornamental salvia with silver green slender leaves and tall spikes of fuzzy pale pink/white flowers. Excellent cut flowers for bouquets, flowers also dry well for use in dried arrangements, wreaths, etc. Attracts butterflies. Very heat and drought tolerant plant once established. Hard to find patented variety. Perennial zones 8-11. Live plant in 3 inch container.